These low carb Halloween peppers are stuffed with cauliflower rice, chicken, and cheese! 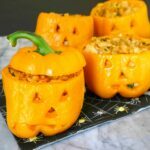 These Halloween-themed bell peppers are ideal for serving as an appetizer at a Halloween party! You can prepare the peppers and stuffing earlier that day, and then bake when needed. 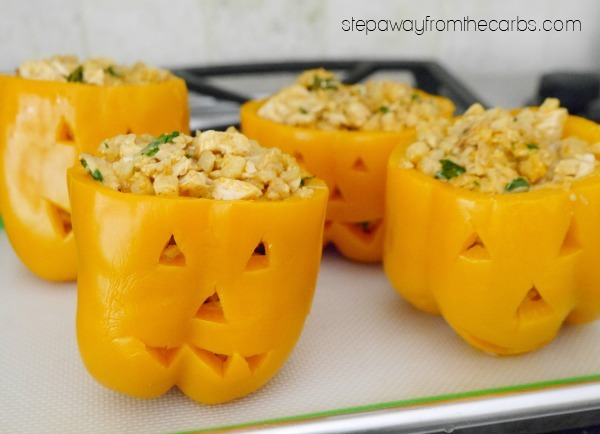 To prepare the orange bell peppers, slice the tops off (reserving them for serving, if you like). Hollow out the insides, making sure to remove any seeds and the white pith. 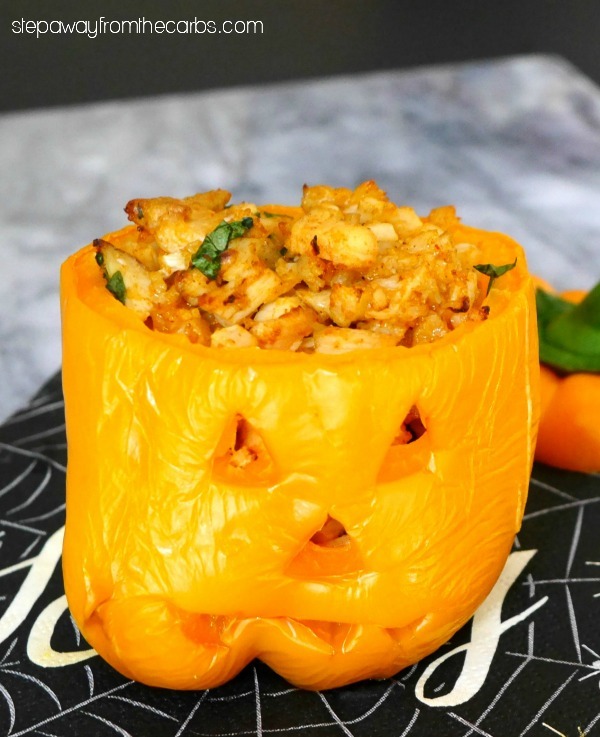 Use a small sharp knife to cut a jack o’lantern face into one side of each pepper. Boil the peppers for about five minutes, then drain and let cool. To make the filling, heat some olive oil in a large skillet and add some riced cauliflower (you can buy it ready-riced or follow my easy tutorial to make your own). Sauté for 10 minutes until the cauliflower is starting to soften. Add paprika, chopped cooked chicken, and shredded cheese (I used a Mexican taco blend). Check for seasoning and add salt and pepper as necessary. Add in some chopped fresh parsley. Spoon the filling into the bell peppers. 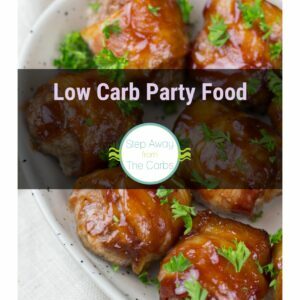 Place them onto a baking sheet and roast in a preheated oven for 15 minutes. 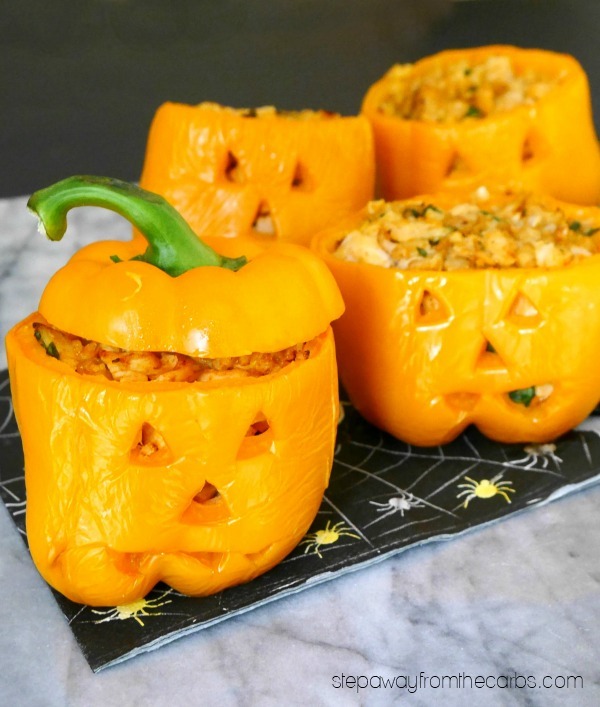 The skins of the peppers will wrinkle slightly – adding to their spooky appearance!! 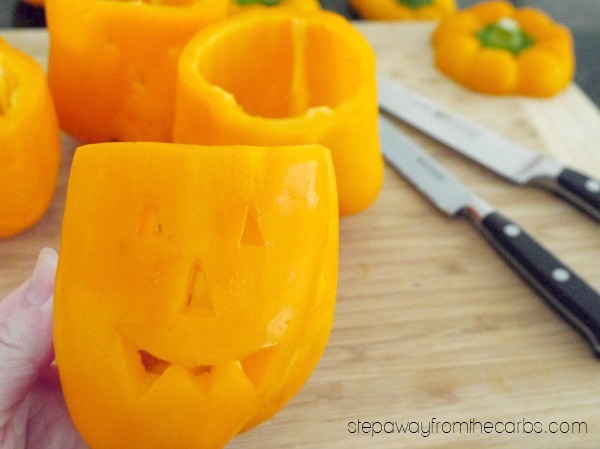 Use a small sharp knife to cut a jack o'lantern face into one side of each pepper. To make the filling, heat the oil in a large skillet and add the riced cauliflower. Sauté for 10 minutes until the cauliflower is starting to soften. Add paprika, chicken, and cheese. Check for seasoning and add salt and pepper as necessary. Add the parsley. Spoon the filling into the bell peppers. 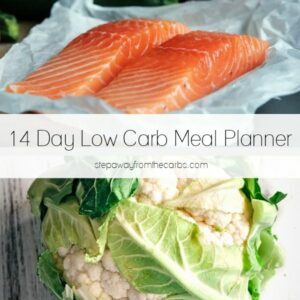 Place them onto a baking sheet and roast for 15 minutes. Adapted from Every Day Jenny.